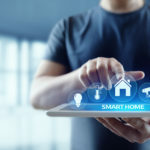 Research shows that LED lights display characteristics that are better for safety and overall health than those of incandescent, fluorescent and halogen fixtures. Natural light tells us when it’s time to wake up and go to sleep. On the other hand, manmade light sources are responsible for enabling an array of different activities when natural light is simply not available. As a result, we are exposed to light of all different kinds every day and that light has an effect on our overall health and wellbeing. 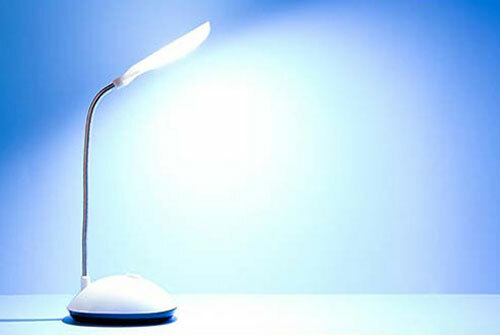 Research indicates that LED lighting can provide a variety of health benefits. Here are 11 reasons why LEDs are good for your health. LEDs safely and silently offer full-spectrum light. Fluorescent lights are well known for emitting a distracting droning sound. And in fact, researcher John Ott discovered that fluorescent lights and the noise pollution associated with them cause “irritability, fatigue, hyperactivity and attention deficits” (Ott, John N. (1973). Health and Light: The Effects of Natural and Artificial Light on Man and Other Living Things). LEDs produce no hum at all. 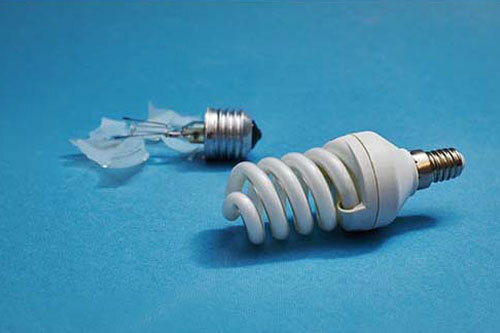 Most incandescent bulbs burn out in less than a year, while most LED lights last up to 50,000 hours. Colour matching across a group of lighting fixtures reduces eye strain, and slower burnout rates means fixtures will retain color consistency for a longer period of time. 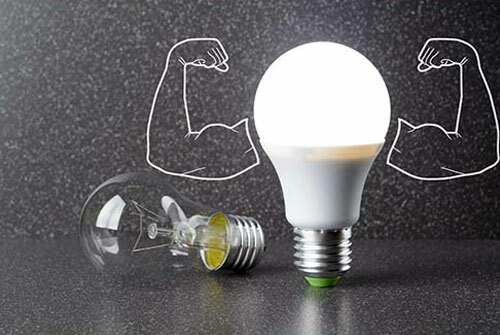 Therefore, LED lights reduce the negative health effects and safety risks associated with flickering that fluorescent and incandescent lights pose. We are all familiar with the notorious flickering fluorescent bulbs. 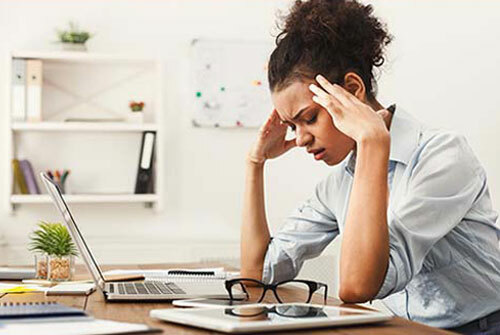 For those who suffer from headaches and migraines, fluorescents can have devastating side effects. The good news is that there is now an alternative! LED bulbs do not flicker, and in turn can help ease headaches. LED light fixtures stay relatively cool even when turned on for long periods of time. Fluorescent lamps can reach temperatures of 180F degrees, and incandescent and halogen lights can reach 200F degrees. Besides safety issues that come from touching hot bulbs, these temperatures can also create unsanitary conditions and hot spots in places like grocery stores and delis where raw meat is stored. 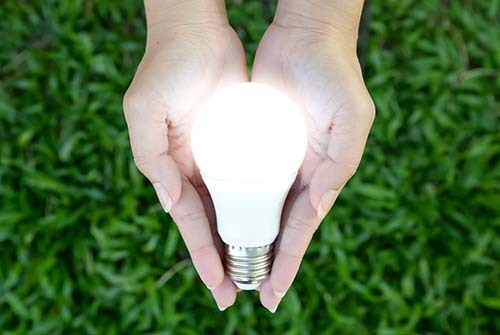 LEDs do not contain mercury, so they can be disposed of safely and easily. 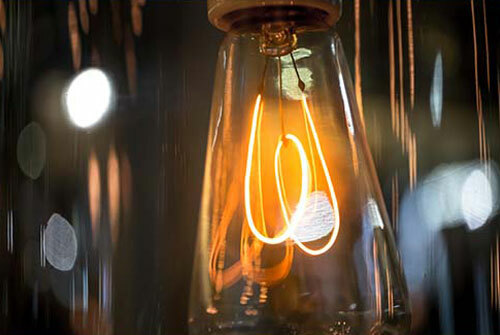 Mercury is a very toxic and dangerous substance that exists in most kinds of light bulbs such as incandescent and fluorescent bulbs except for LEDs. 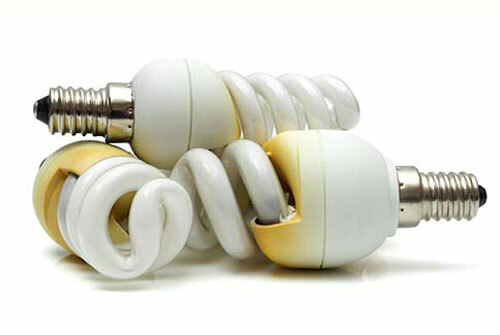 The presence of mercury makes disposing of other bulbs time consuming and dangerous. 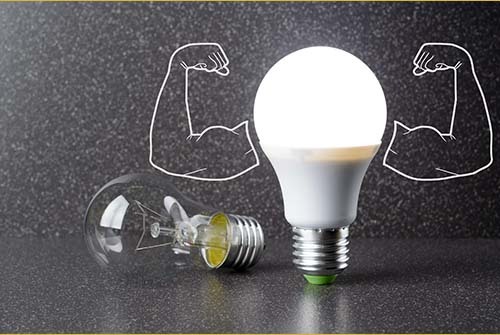 Recent developments in LED lighting technology has allowed LEDs to imitate natural light. 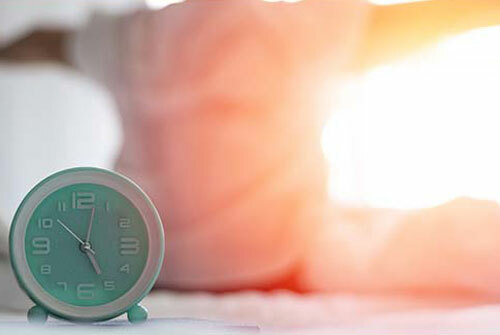 Research indicates that proper exposure to natural light promotes a regular and healthy circadian rhythm and LEDs seem to do the trick. So swap those fluorescents in your office for LEDs and enjoy the sleep benefits! LEDs are an optimal investment for schools. 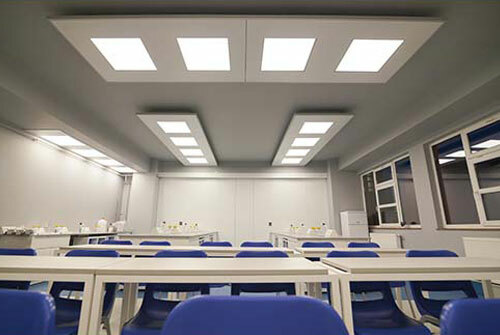 When LEDs are applied in a learning environment, research suggests that learning performance is increased. Let’s help students succeed! Implementing LED technology can help your employees to find success in their careers. Organizations that implement LED lighting in office spaces and work areas have recognized an increase in productivity. We all know how spending a day outdoors can help reduce stress. LED lighting can offer help when we may not be able to consistently get outdoors in busy day to day life. LED lighting has been associated with decreased levels of anxiety and stress in indoor environments. 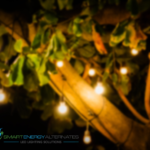 We all know that LED lighting is good for the environment; but, we are now finding that LED lighting is good for people too! Making the switch to LED is one simple way to have a positive impact on people. 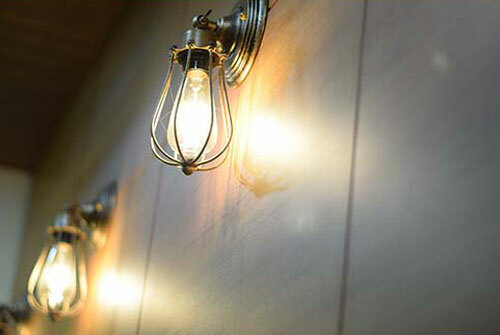 LED lights are the smarter and safer choice for efficient, stylish and affordable lighting.